I hope that everyone has had a wonderful Saturday. It has been kind of a lazy one for me today. Thank you for hopping along with us and leaving some love along the way. Now for this week's winners. 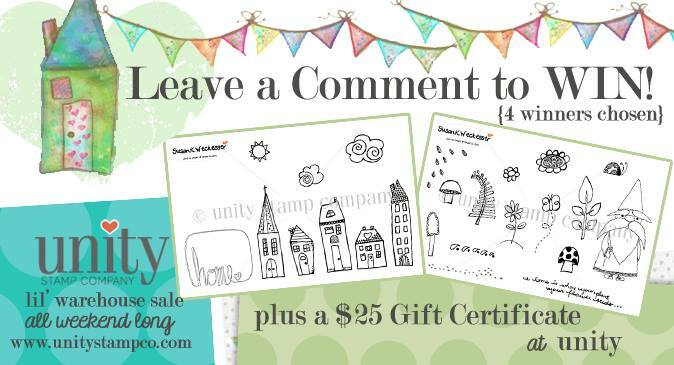 Each winner will get a $25 Gift Certificate to Unity Stamp Co Plus the new Susan K Weckesser stamps!